Nickelodeon has 3 fun new titles being released this week on February 5th! NEW YORK – November 19, 2018 –Shimmer and Shine are flying back onto DVD in the newest collection, Shimmer and Shine: Flight of the Zahracorns, available on February 5. In their sixth DVD release, the genies-in-training take to Zahramay Skies for a series of adventures through fluffy clouds and over glittering rainbows. From learning about stardust magic to discovering the enchanting stars of Zahramay Skies, and participating in the Zahracorn race, Shimmer and Shine’s journeys are always filled with magic and valuable lessons. 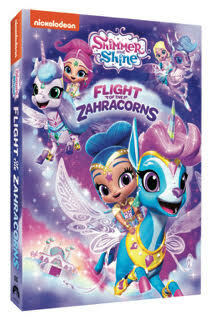 Produced by Nickelodeon Home Entertainment and distributed by Paramount Home Media Distribution, Shimmer and Shine: Flight of the Zahracorns will be available on DVD February 5, 2019 for the suggested retail price of $10.99. The Zahracorn Salon – The girls take Adara's Zahracorn to the salon, but when she gets scared away, it’s up to them to find her. February 5, 2019 for the suggested retail price of $27.99. new gadgets and vehicles including the amazing Air Patroller.  Chase is on the case and Marshall is all fired up for these eight PAW Patrol adventures! 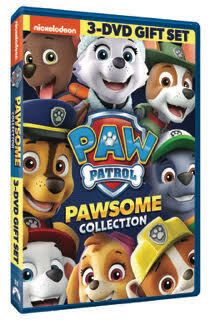 Join the team as their police pup and firedog lead them on some “ruff-ruff” rescues. NEW YORK –November 27, 2018 – Peter Rabbit is hopping onto a brand-new DVD collection, Peter Rabbit Springtime Collection 2-Pack, available February 5, 2019. This special two-disc repackage features Peter Rabbit and Peter Rabbit: Spring Into Adventure!, and is jam-packed with fluffy fun-filled tales. 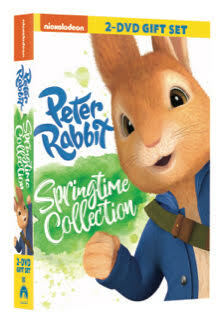 Fans can watch as Peter Rabbit and his friends spring into action for exciting farm and seasonal adventures. Produced by Nickelodeon Home Entertainment and distributed by Paramount Home Media Distribution, Peter Rabbit Springtime Collection 2-Pack will be available on DVD February 5, 2019 for the suggested retail price of $9.99. 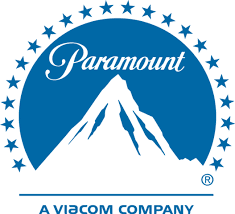 Follow @NickelodeonDVD on Twitter for Nickelodeon Home Entertainment updates in the US and Canada. Look for these titles online, on Amazon, and wherever DVDs are sold! Also, look for these in our upcoming Movie Hop Giveaway coming up later this month!